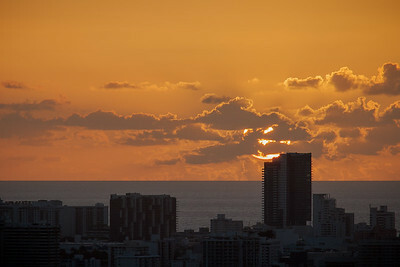 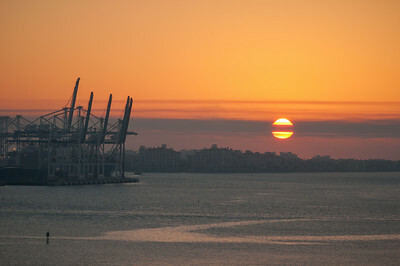 Sunrise overlooking the Miami Port and Star Island further off in the distance. 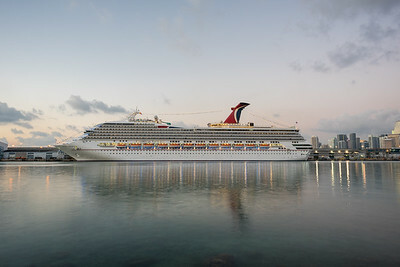 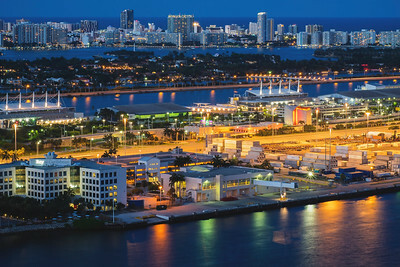 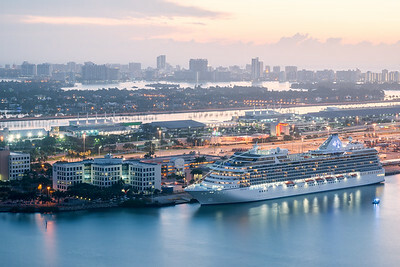 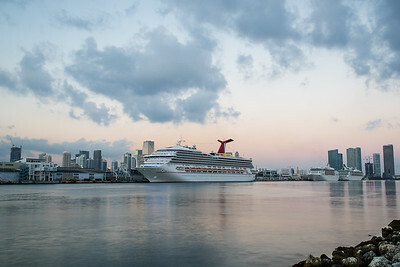 The Carnival Victory, a Carnival Cruises vessel, sits docked at the Miami Port. 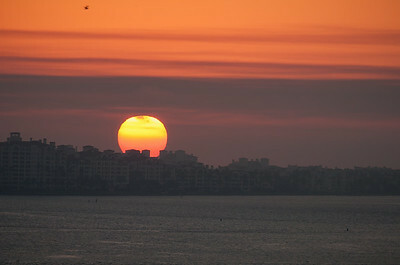 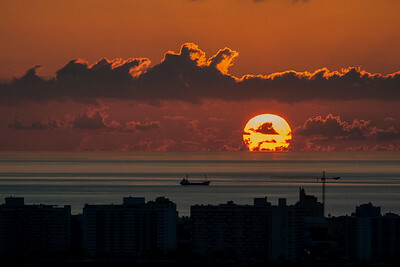 Sunrise over Star Island, Miami, FL. 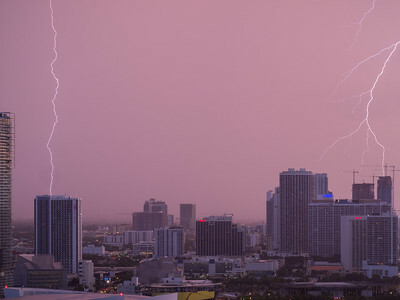 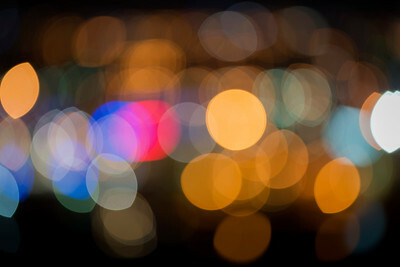 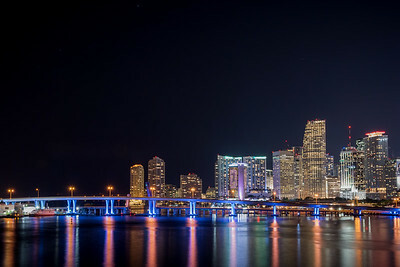 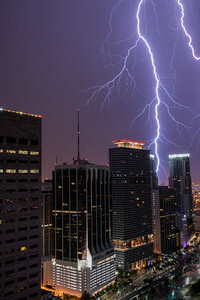 A late night lightning strike dwarfs some of downtown Miami's tallest buildings. 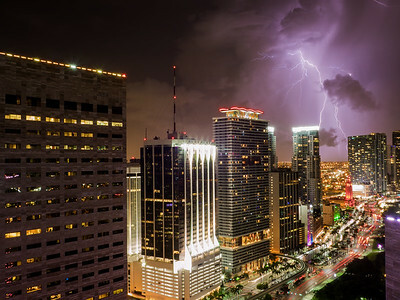 Lightning bolts crack over downtown Miami, FL.